It's the first day of fall, my favorite time of year! 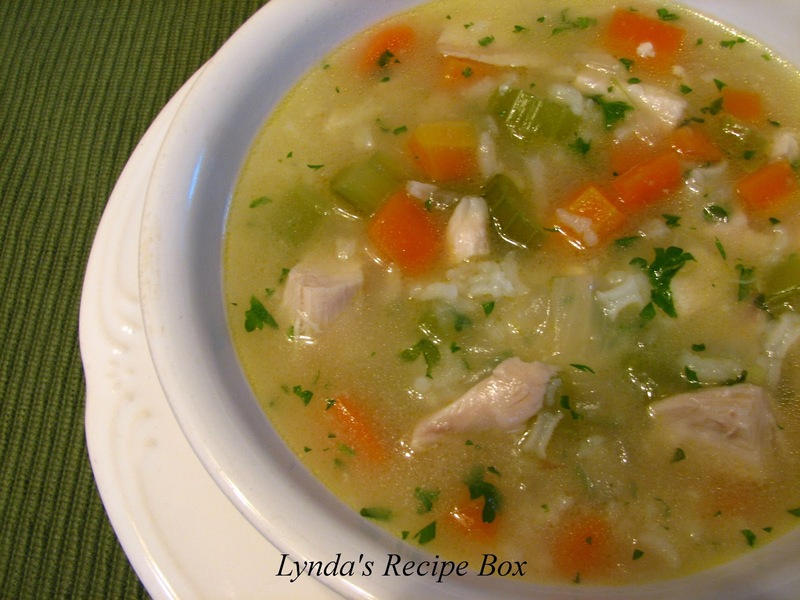 That means soup weather is coming, so thought I'd give you some ideas. We are having a cool, fall-like weekend and soup sounds good to me. The above picture is White Beans and Ham which starts with dried beans. So yummy served with some Cheese and Jalapeno Corn Bread. 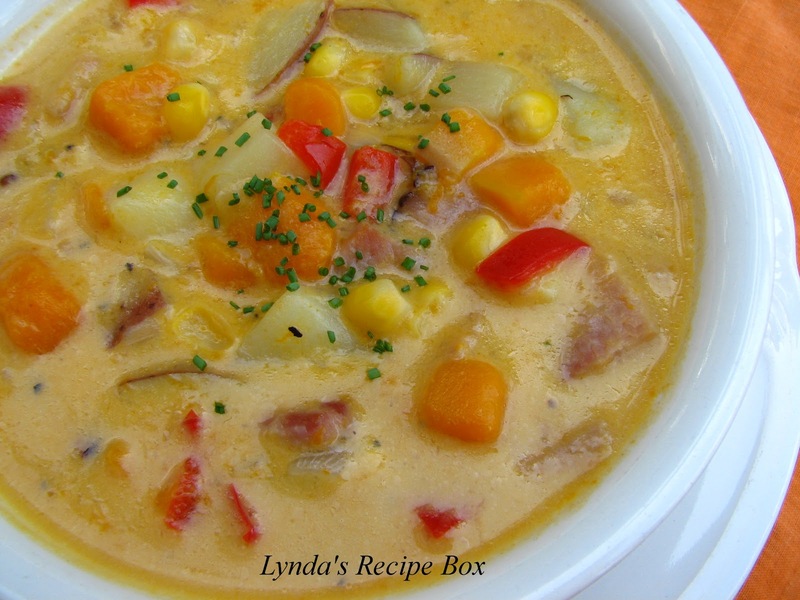 My Corn and Potato Chowder with Butternut Squash and Ham is full of wonderful fall flavor! I love it served with Cornbread Muffins or some good quality bread. 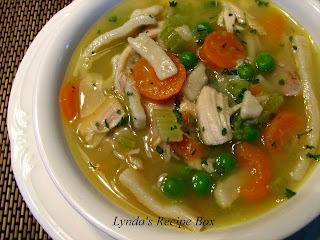 Who doesn't like Chicken and Noodle Soup? I used purchased frozen noodles in this soup to make it easier. This is perfect comfort food. Easy Slow Cooker Beef Stew is one of our favorite cool weather meals. I do brown the meat before adding it to the slow cooker, because it adds a lot of flavor. Throw the ingredients in the pot and just let it cook until done. 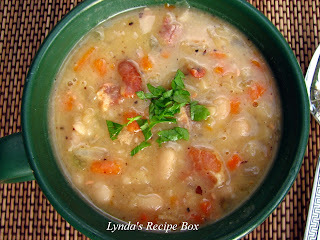 This Bean and Bacon Soup is delicious! It uses canned beans, which makes it a pretty quick soup to put together. Perfect for a weeknight meal. 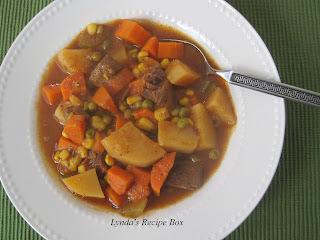 My Hamburger Stew is pure comfort food. This is one of my husbands favorites too. My mother and grandmother made this, so it's been in my family for many years. Homemade Chicken and Rice Soup is so delicious and satisfying. It is easy on the budget and quick to prepare which makes it nice for a weeknight meal too. 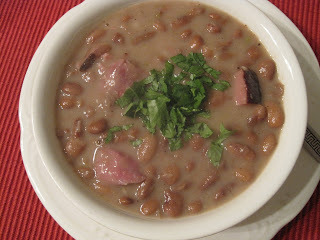 Last but not least is Pinto Beans and Ham. This is comfort food. Best served with corn bread I think. A beautiful collection Lynda!! We're still pretty warm down here along the Gulf Coast, but at least it's mid-80s with lower humidity instead of 100 degrees with 100% humidity finally! 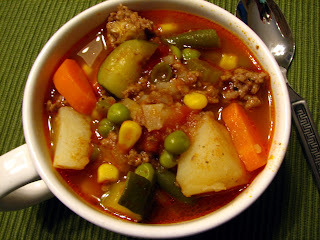 I am so ready for some cooler temperatures & some hardy stews & soups. Despite the heat, I made a hamburger stew myself this weekend! we are ready for cooler weather too Mary. I may have been a bit early with soup recipes for a lot of the country, but I just can't wait! I'm so glad we're heading toward 'soup weather'! I just bought 6 bags of beans from Rancho Gordo because we love soups and stews in the winter. I made your French Bread recipe again the other day. It's just the best and we love it. I make it at least once a month! Oh Karen, so glad you still love my bread! It really goes well with soup, doesn't it. Thanks! You're talking to a soup-o-holic here. Love them all. Must try the Hamburger soup for husband. I know he would swoon. I'm looking at anything with comforting beans and bacon! Nice group of soups Lynda and I'd go for all of them. We like to toss some sauteed kale in the first one. Sounds really good with the addition of kale Larry. I'll have to try that next time. That's a lot of soup varieties. Some are new to me and never tasted it. But I would love to have a taste of them all. Thanks for sharing these wonderful recipes, Lynda. I want to make each one. Temperatures are dipping down into the low 40's here, definitely soup weather. I love soups!! !What a wonderful list,Lynda!